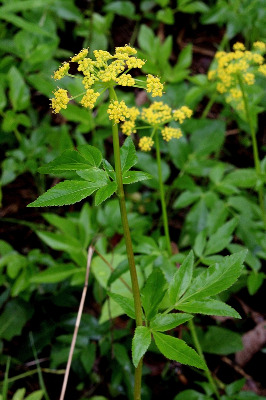 Forests, especially swampy ones; more often in fens and sedge meadows, with tamarack and poison sumac, in openings and thickets on river banks; and fencerows. MICHIGAN FLORA ONLINE. A. A. Reznicek, E. G. Voss, & B. S. Walters. February 2011. University of Michigan. Web. 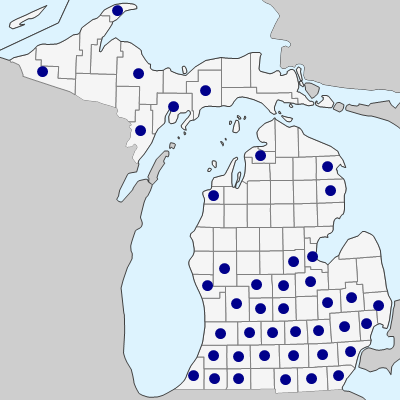 April 26, 2019. https://michiganflora.net/species.aspx?id=151.